Bolsonaro needs to get back in the saddle quickly and maintain control of the reins. I wish him a speedy recovery. 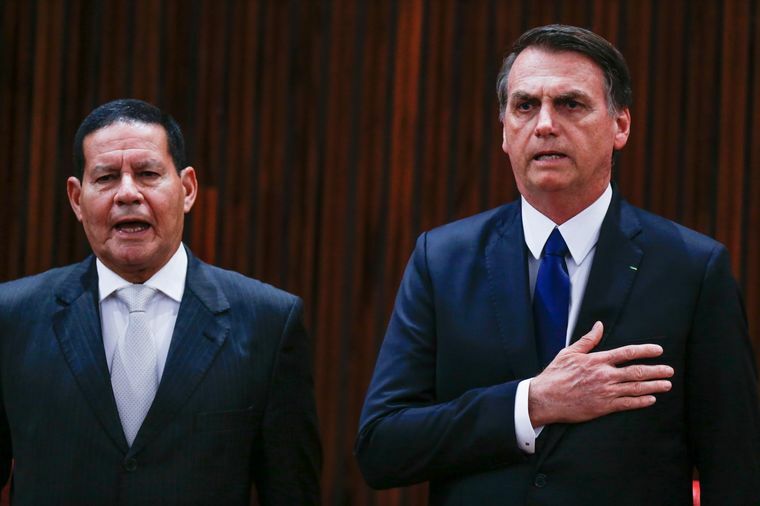 (Bloomberg) -- Once Brazil’s President Jair Bolsonaro is back at work following his recent surgery, he will have to deal with another malady -- a fragmented government that risks slipping into a full-blown power struggle. Take this week. Ministers try steal each other’s thunder with conflicting policy announcements and openly root for opposing candidates to head the Senate. Then there is Vice President Hamilton Mourao, whose protagonism has fueled multiple conspiracy theories. Bolsonaro swept to power with tough talk on crime and an anti-establishment image in a country deeply disillusioned with traditional politics after years of scandal and recession. He pledged to end corruption and backroom politics in Congress, as well as to kick-start the economy by downsizing an unwieldy state. To that end, he packed his cabinet with notables who were applauded by financial markets for their expertise. The problem is keeping them all in line. The experience and stature of the "super ministers" Bolsonaro appointed in many ways far exceed that of the former Army captain who spent decades as a lower-house backbencher. His running mate’s military rank as a four-star general was six levels higher than his. A dozen interviews with top officials and their aides this week revealed islands of power in a government that at best lacks coordination and at worst could begin unraveling at the seams. The apparent confusion has been exacerbated by the 63-year-old president’s hospitalization Jan. 28 for follow-up surgery related to injuries sustained in a September assassination attempt. "The absence of the president fuels vanity -- there are people who want more power and are willing to decapitate each other to implement what they consider a priority," said Creomar de Souza, a Brasilia-based political scientist. "The dissonance of strategies in government is clear." Between a trip to Davos and hospitalization, Bolsonaro has spent only about half of his first 40 days as president at work in his third-floor office of the modernist presidential palace in Brasilia. Meanwhile, in the basement facilities of a nearby annex, Mourao had a chock-full agenda, received foreign dignitaries and set up a new press center from which he conducted daily briefings on issues from abortion to economic reform. All of which ruffled the feathers of the president’s family and friends. Olavo de Carvalho, perhaps the most influential of Bolsonaro’s policy gurus and advisers, accused Mourao via Twitter as being a traitor. Befitting Bolsonaro’s new found international stature as a populist and right-wing icon, former Donald Trump-adviser Steve Bannon joined in, blasting Mourao for overstepping his bounds. The American’s outburst comes after Bolsonaro’s son Eduardo had announced that he’d joined Bannon’s Europe-based right-wing group, The Movement. Suggestive of the testy atmosphere, aides linked to the president’s family had sought to discourage media contacts with Mourao, according to emails obtained by Bloomberg News. This week the vice president canceled at least five interviews he had scheduled with media outlets. The presidency and vice-presidency declined to comment for this story when contacted by Bloomberg News. Mourao’s aides say he is neither vying for power nor lurking in the shadows, but note that sitting quietly in the corner just isn’t in his nature. Meanwhile, three of Bolsonaro’s super ministers took center stage on the same day to push their own agendas. While Justice Minister Sergio Moro was selling his anti-corruption measures at a lengthy news conference, Chief of Staff Onyx Lorenzoni was delivering the annual message of the government’s legislative priorities to Congress. 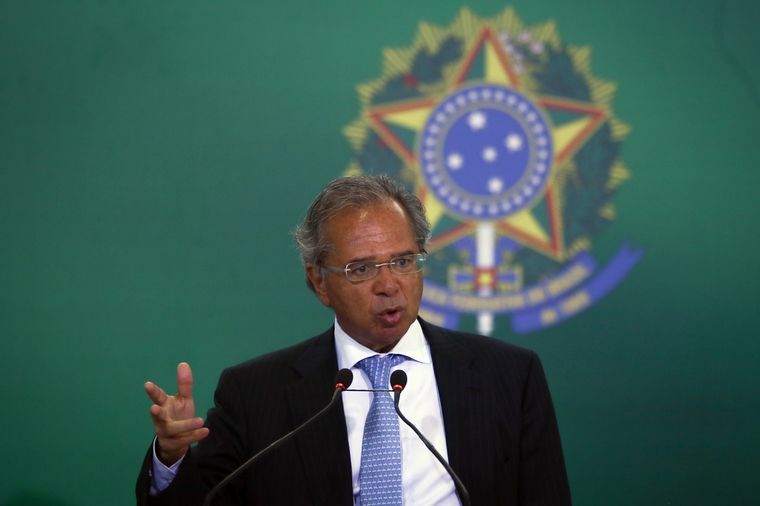 Even as Moro and Lorenzoni held forth, Economy Minister Paulo Guedes was on the other end of town explaining his pet project -- a pension reform that’s meant to fix the government’s dire financial situation. So far, the infighting is raising eyebrows and lighting up social media traffic. Several of the officials, who asked not to be named because they weren’t authorized to speak on the record, said the situation can still be remedied. But if not, it could lead to cabinet resignations and diminish the government’s ability to push a market-friendly reform agenda through Congress. "The government is going through a period of conflict, confusion and learning," said Paulo Calmon, head of the Political Science Institute at the University of Brasilia. "The window of opportunity is short, therefore the president needs to engage in more dialogue and coordination."